Fabulous vintage style record box. The 220 Cube model holds approximately 75 7" vinyl singles. Super stylish storage solution for your record collection. Authentic vintage prints & designs. 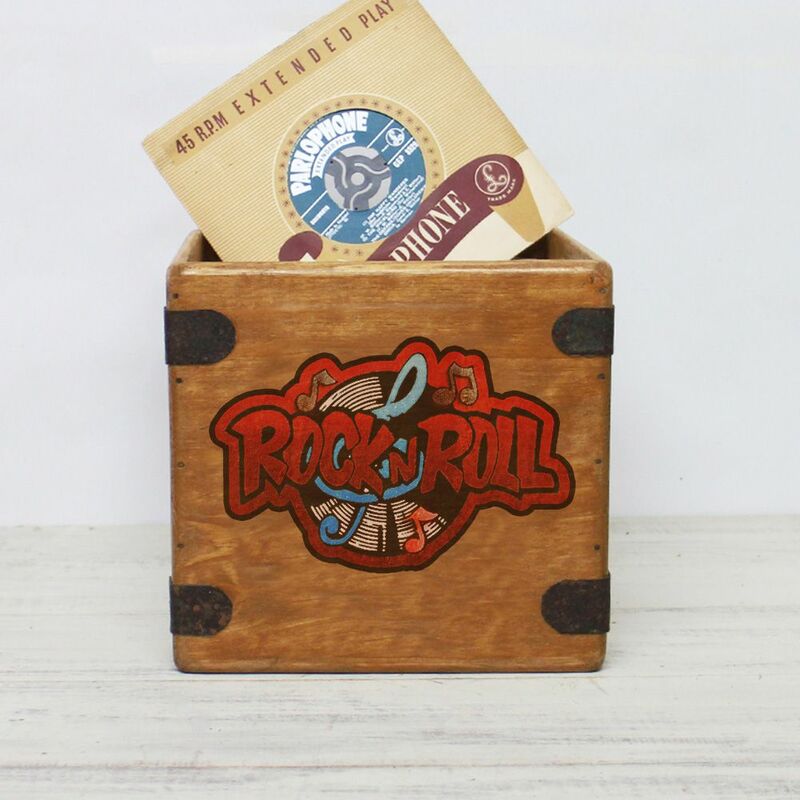 Handcrafted using traditional methods our solid wood record crates are designed for vinyl. This design is available in other sizes. 220 Cube: 7" Singles record box. Capacity: Approx 75 Vinyl 7" records in standard covers. Size. External: W22x22x22 cm. Internal: W20x20x20cm. Solid wood constriction, rustic iron corner straps with side hand cut outs. Manufactured from FSC & PEFC compliant sustainable timber. *The 220 record box pictured is holding 75 7" singles for display purpose. Handcrafted 7 Inch Record Box Solid Wood "220 Cube"